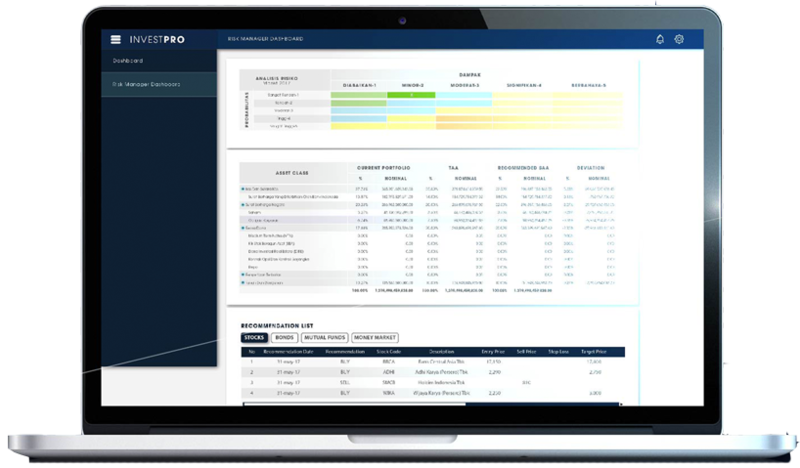 INVESTPRO is designed to support multi-user interaction among investment team including planning, implementing and monitoring investment process in one integrated application. This application suits for investment manager who needs product information, recommendation, simulation and control investment product in their portfolio. INVESTPRO is equipped with a system for storing recommendation data as well as historical transactions, hence it can be a support system in good corporate governance. In brief, any implementation of each responsibility for managing investment portfolio will be recorded for justification and audit purposes.